There are almost as many styli for note taking as there are for drawing. Although there are scads of fine-tipped styli for taking notes, these are four of the best we’ve found for precise writing on tablets. While the Adonit Switch may have a low price tag, it certainly doesn’t mean it lacks in style or usefulness. That’s right, the Switch doubles as a stylus and an actual pen. Roll the striped grip-end and a ballpoint pen slips out. Rotate to take off the cap on the other side, and voilà, you have a precision stylus. The precision stylus has a disk at the end, allowing for more precise marks on your tablet. It feels and weighs about the same as a normal pen, and can easily be mistaken for one. It can be used to draw, but you’re better off sticking with writing notes with the Adonit Switch. The ball-point pen writes fairly well and adds an immensely useful function if you happen to always carry a stylus around. Adonit probably offers the most precise and fine stylus tips of any manufacturer. Although the Jot Script is well-liked for its extra fine tip, it only works with iOS devices, which limits its reach. The benefit of the Adonit Pro 3 is that it works on most touchscreen devices, including iPads and Android tablets. It will probably also work on Windows tablets too, but we haven’t tested that theory. The Pro 3 has a very fine point, which makes it perfect for taking notes. When precision is the order of the day, it doesn’t get much better than this. 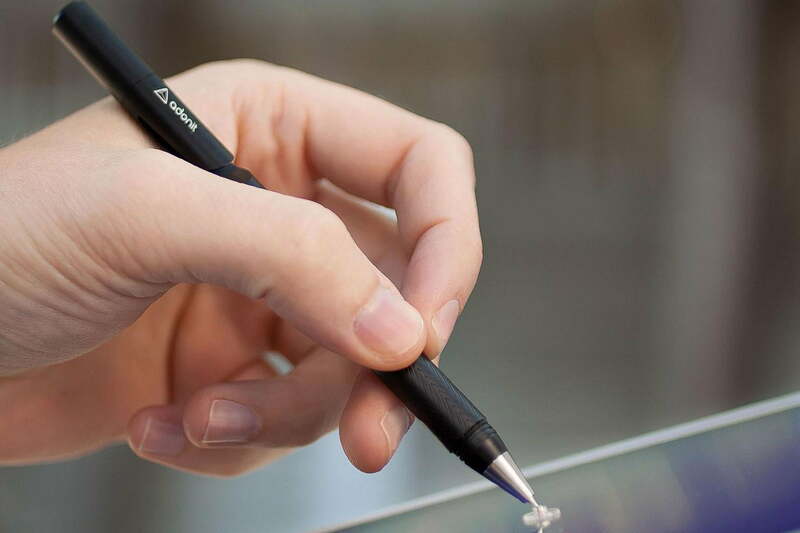 The Pro 3 looks and feels like a regular ballpoint pen, with the addition of a small plastic disc on the tip to protect the screen. It even comes in several different colors, including a nice rose gold and midnight blue. Adonit is one of the best styli manufacturers in existence, one that recently added the Adonit Pixel to its already impressive lineup. The Pixel stylus is compatible with iPhone 5 and higher, third and fourth-gen iPads, all iPad Minis, the iPad Air, and the 12.9-inch iPad Pro. Like Adonit’s other wears, the Pixel has a 1.9-millimeter tip instead of a disc, allowing for easy drawing and sketching. The stylus’ tip has improved drag performance as well, to make it feel like you’re writing on paper. A USB dongle also allows you to charge the stylus via your computer, while a host of programmable buttons let you perform a variety of customized actions on the fly. If you’re looking for a blue-ribbon stylus that touts solid functionality across the board, you can’t go wrong with the Pixel. If you’re looking for an affordable alternative to some of the premium offerings in our roundup, then look no further than Elzo’s 3-in-1 stylus. It’s the perfect low-cost option, as it provides three tips in one slimline body. There’s a soft nanofiber tip for general stylus use, but there’s also a precise disc tip for more accurate work, and a gel pen tip for writing on real paper. 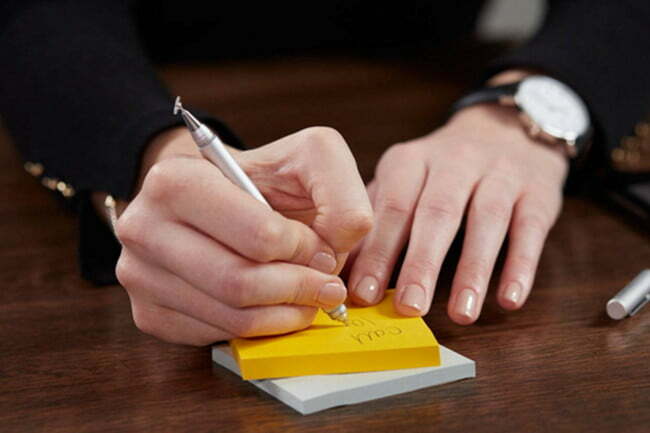 It has a solid aluminum body and comes with a soft grip for writing comfort. One of its best features is definitely its compatibility. It works with a multitude of iOS and Android devices including iPads, iPhones, Samsung devices, HTC devices, Motorola devices, and pretty much anything with a capacitive touchscreen.